Reiterating its value as the card for travel and leisure, the Seylan Card’s ‘Travel the Island’ now offers big savings, convenient payment plans and exclusive privileges for its cardholders to explore Sri Lanka’s most exotic destinations. 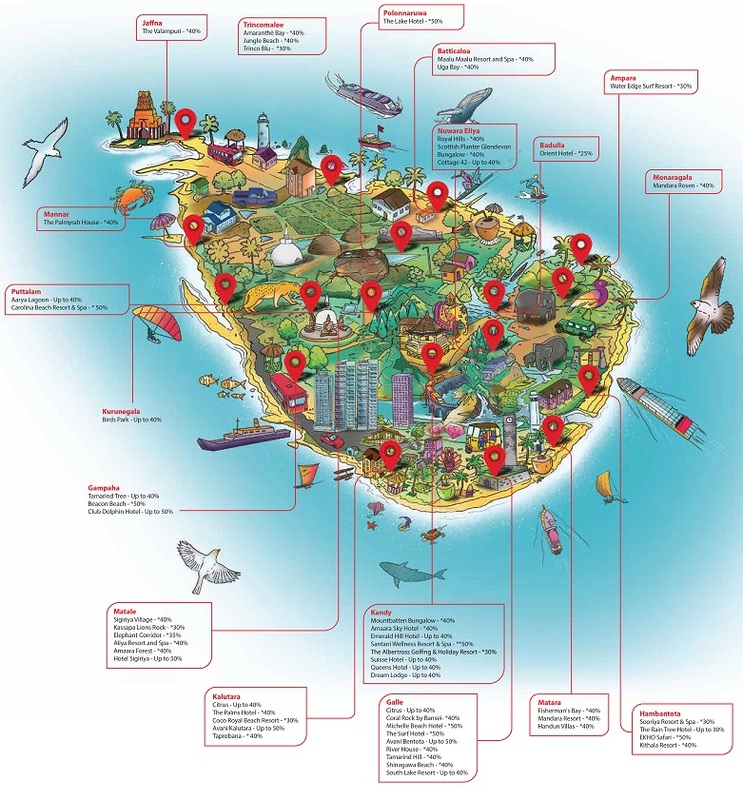 ‘Travel the Island’ with Seylan Cards was primarily conceptualised to offer cardholders the liberty to choose from a multitude of coveted tourist destinations across the island, thus giving them the unique privileges they deserve. The bank has partnered with over 50 elite hotels and resorts covering the entire island in its fleet to indulge its cardholders’ getaways with more fun, excitement and value, while delivering an attractive savings of up to 50 percent. « FOREIGN DIRECT INVESTMENT OF SRI LANKA. WHERE ARE WE HEADING?